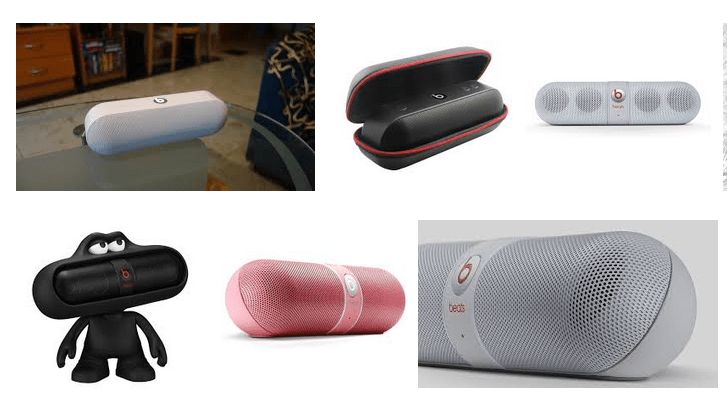 The Beats Pill was one of the most anticipated Bluetooth speakers. A lot of hype surrounded this model, and many people got really excited when it was finally released. Though it wasn’t as exceptional as some would expect it to be, there were actually a few glitches here and there, but nothing that would make it a deal breaker. Regarding its battery life, it can go for as long as 7 hours of straight music before it runs out of juice. The designers on Dr Dre have come up with a striking design in the form of a cylindrical, very portable wireless speaker that weighs only 0.7 pound – it’s truly lightweight. It also has a substantial audio performance for its size, and other essential features like its NFC (Near-Field Communication) and Apt-X technology that would make it a contender in the wireless speaker market. Despite its unique shape and striking design, it’s really hard to say if it’s a good-looking product. I wouldn’t say it’s ugly, this speaker do contain some high quality materials like its metal front grill and rubberized base. But it doesn’t really raise the bar in its category, though it fits nicely in your hand and you can carry it anywhere you go. Can It Pair Easily With Other Mobile Devices Easily? What Features Can I Expect From This Bluetooth Speaker? What Is The Sound Performance Of The Beats Pill? How much is this portable wireless speaker? With its NFC capability, it can easily pair with other mobile devices. You can just tap a smartphone on the speaker (just tap it lightly though) and that’s all it takes – it will automatically pair with the Pill via Bluetooth. No need to set up your Bluetooth settings. However, the phone must also have NFC capability or it won’t work at all. Newer version of Android phones like Samsung and HTC ONE has this feature, but it’s not available on the iPhone series. Hopefully, they integrate this technology in the near future. If your cellphone doesn’t have both the Bluetooth and NFC, it’s still possible to hook up with the speaker. You can just use the standard 3.5mm audio cable that you use for other portable models. Moreover, you could use it in tandem with your home stereo system, so you can stream your favorite music straight from your smartphone. This makes the Pill in some way a Bluetooth receiver, which in my opinion is quite innovative. Though, some people may not bother with this feature, because it’s a mobile speaker after all – and it doesn’t belong inside the house. People bought it for one reason – so they can use it outdoors! Unlike other audio equipment companies, Dr Dre concentrated on functionality and sound performance. That’s why the Pill has the speaker phone capability. So, in case you got a call while you’re listening to your music, you have the option to answer that call using the speaker. By just tapping on the ‘b’ button, you can answer the call. The volume buttons are located on the top, while the power button is positioned on its rear. Other features include micro USB charge port, Bluetooth indicator, auxiliary output and input jacks. The microphone is oddly located in a pinhole below the main logo of the Beats – allowing the speaker to actively pick up any sound in its surrounding area. This makes it a perfect conferencing device, which is potentially a useful aspect of this wireless speaker. In the past, Beats headphones and earphones are known for being bass heavy, and that factor made those products both hated and loved by their respective owners. People who like hip-hop will definitely go with the Beats headphones while those who want more depth and clarity will look for another brand. But that is not the case with Beats Pill, because I think the experience is reversed with this product. As I tested the speaker using a wide variety of genres, the Pill demonstrated clarity and detail on acoustic tracks. However, when I switched to hip-hop, dance and heavy rock – the mids and lows fall flat. As for me, the lack of bass isn’t really a big issue, since we’re dealing with a small speaker. But if you’re going to compare it with the Soundlink Mini, you can expect that it cannot match the bass performance of that particular model. Although you need to understand that the Pill is 3 times smaller, and its components is limited to its tiny frame. In my opinion, the Pill still provides quality audio and the sound it produced is acceptable enough for most audio enthusiasts. It may be lacking in some areas, but it can deliver the sounds that you want to hear. The Beats Pill will cost you for around under $200 and this will include a 1.5m audio cable, carry case with carabiner, USB data/charge cable and its AC power adapter. If you think the price is quite too steep for the whole package, then you can opt for Bose Soundlink Mini which cost pretty much the same. The only difference is that the Pill is NFC-enabled and has a speakerphone capability. So, if you’re aiming to have a much functional portable Bluetooth speaker which can deliver decent audio plus a speakerphone, then I strongly suggest that you get the Beats Pill.